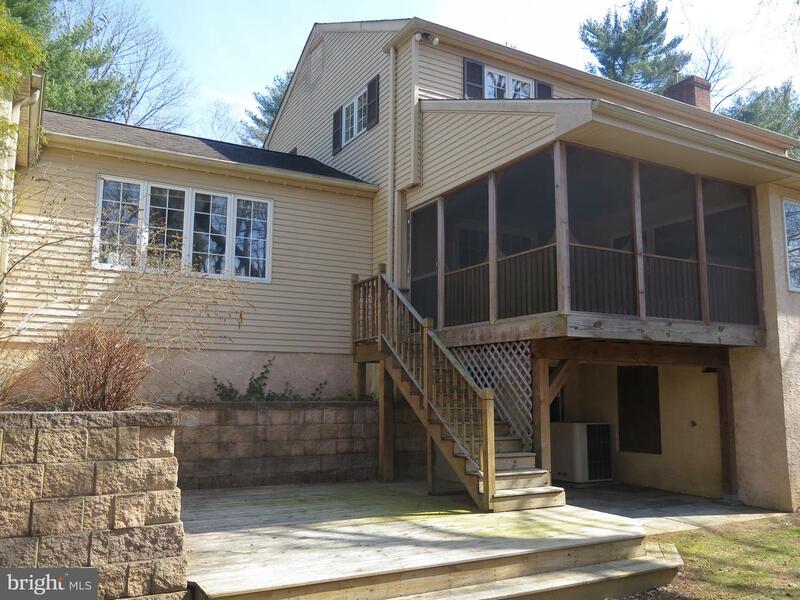 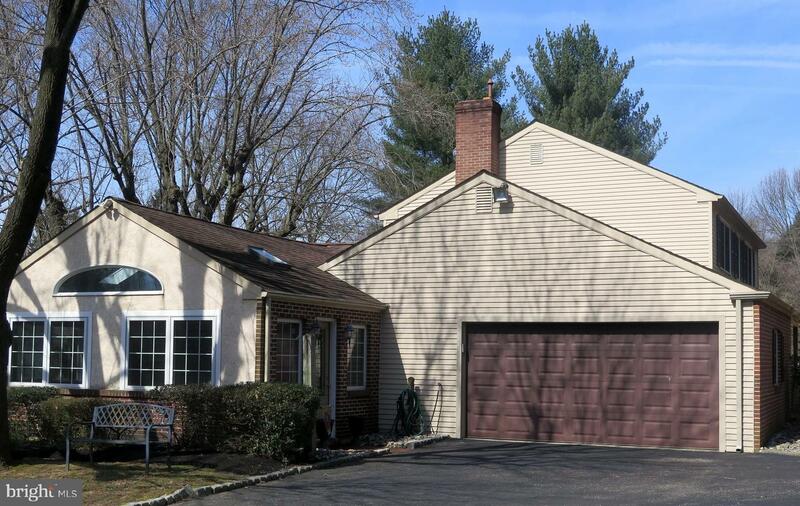 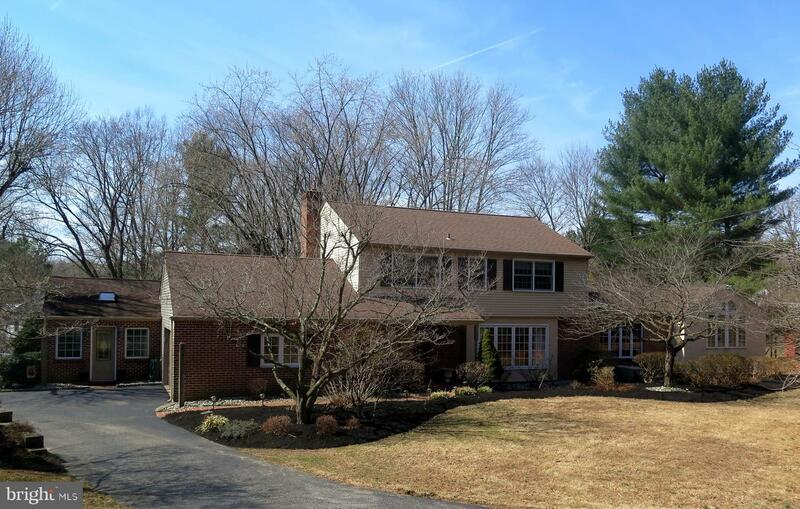 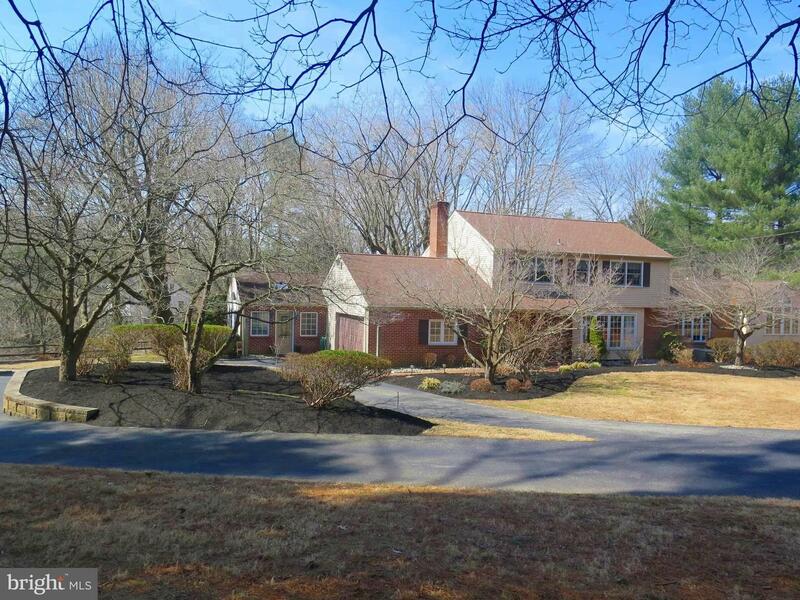 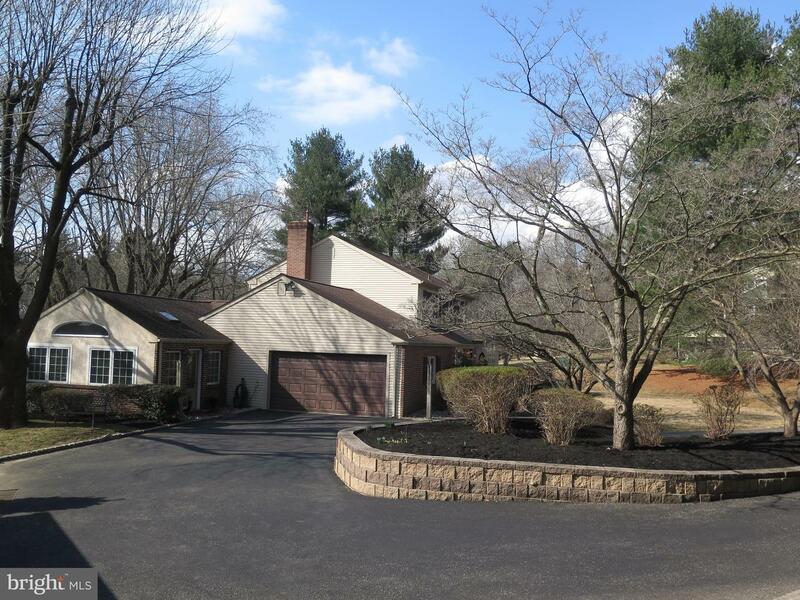 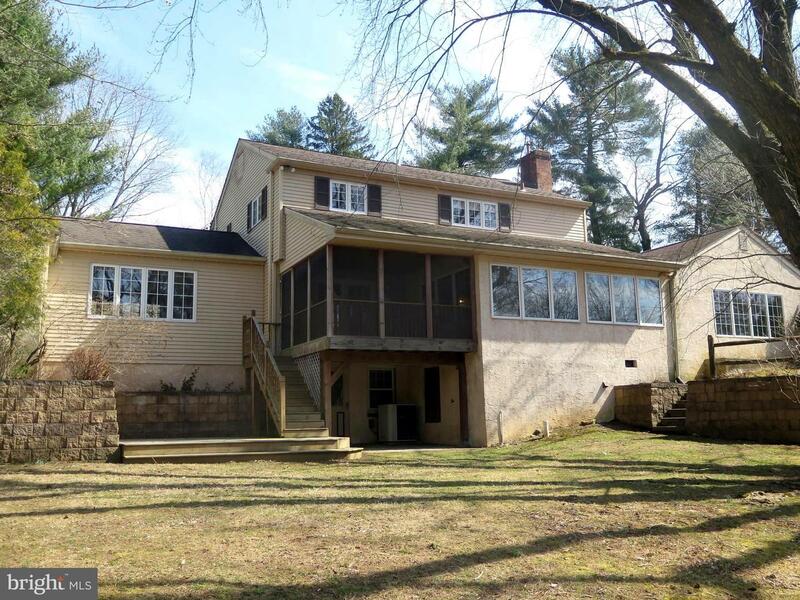 376 Mount Alverno Road is a large colonial home situated on a beautifully landscaped lot of almost 1 acre in Middletown Township in the Rose Tree Media School District. 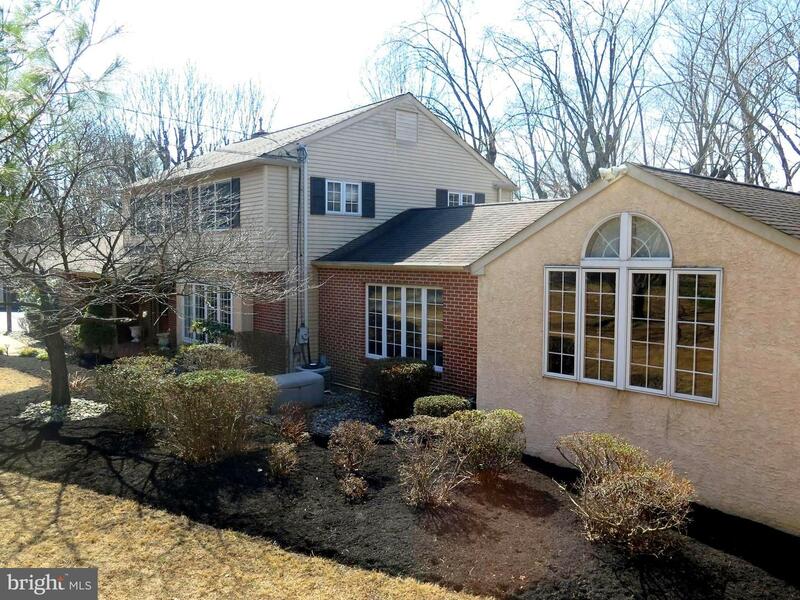 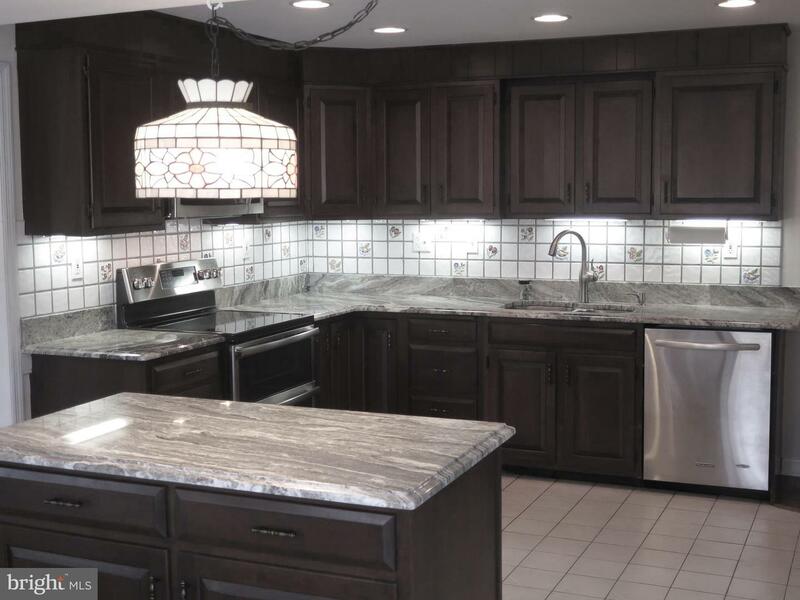 This home consists of 5 bedrooms and 3.5 baths that has been expanded to over 3,100 square feet of interior space and features a 1st floor master bedroom retreat that is ideal for a multi generational family. 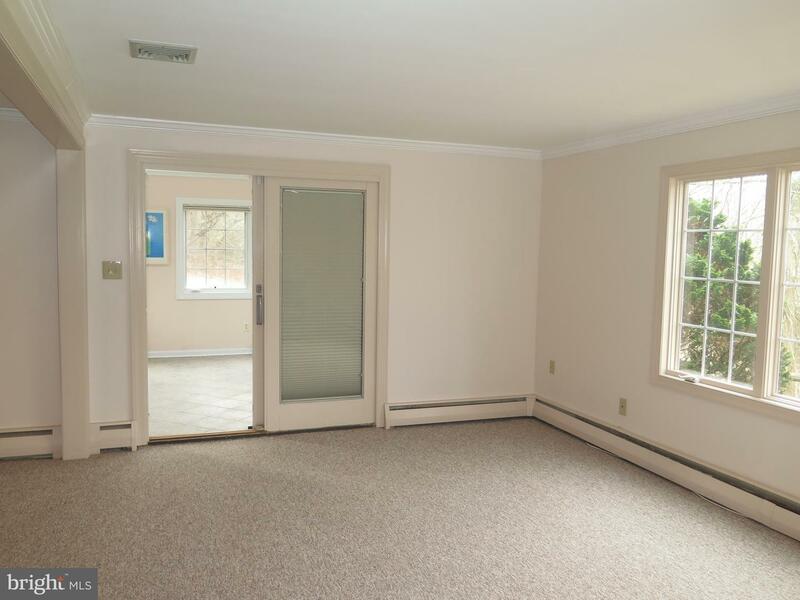 The 1st floor master space has a large sitting room adjacent to the master bedroom with two banks of windows, a beamed ceiling, and a wall of built ins for plenty of storage space. 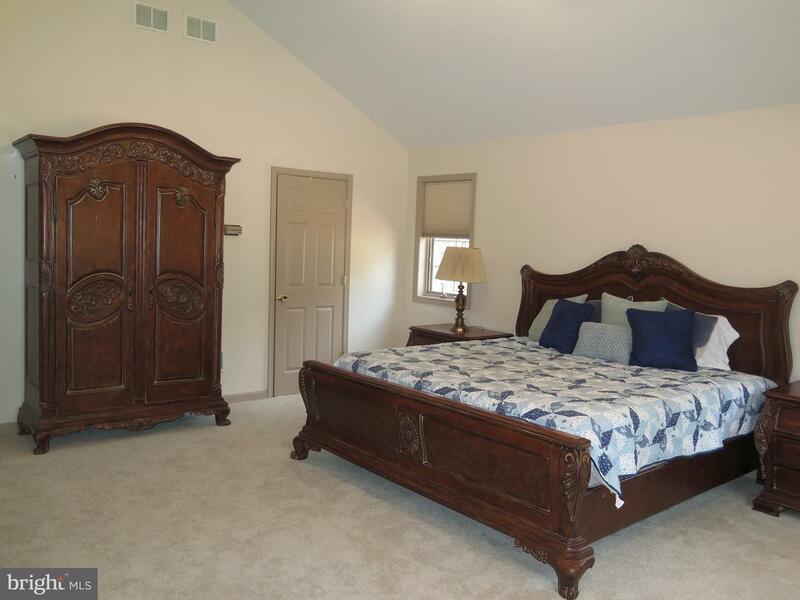 The large master retreat/in law suite has a cathedral ceiling with a ceiling fan, walk in closet, a wall of windows that fills the space with natural light, new carpeting, and an en suite bathroom that has a vanity with double sinks, a stall shower and a jetted soaking tub. 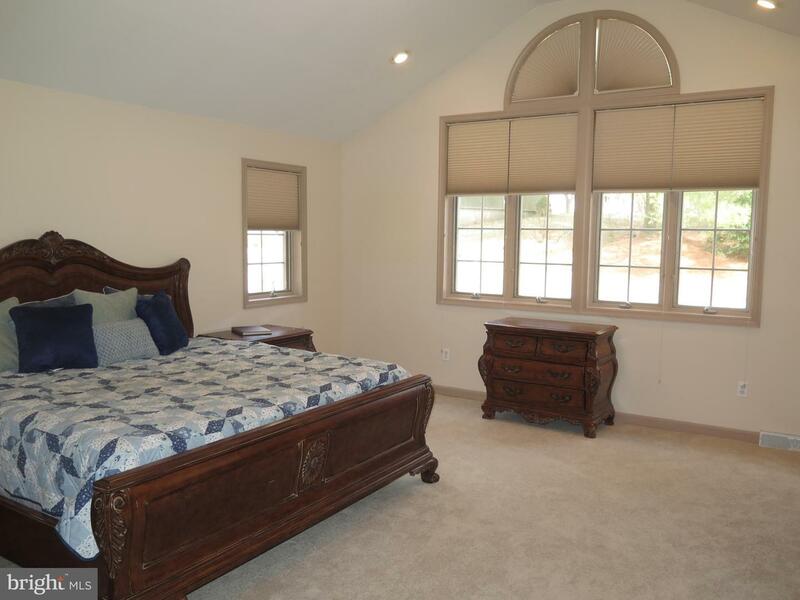 The Master Suite also has it's own zoned climate control. 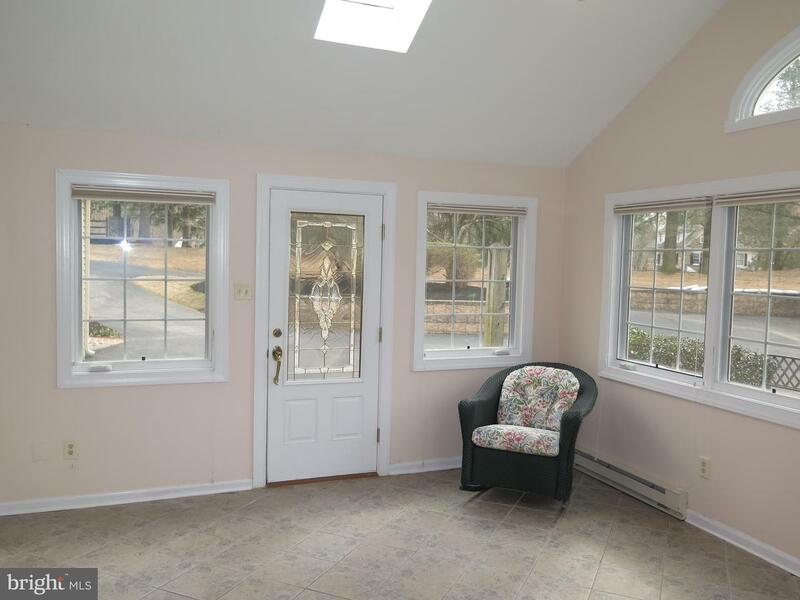 Access to the 1st floor living area via the front entry door is at grade level with no steps to contend with from the driveway all the way into the home. 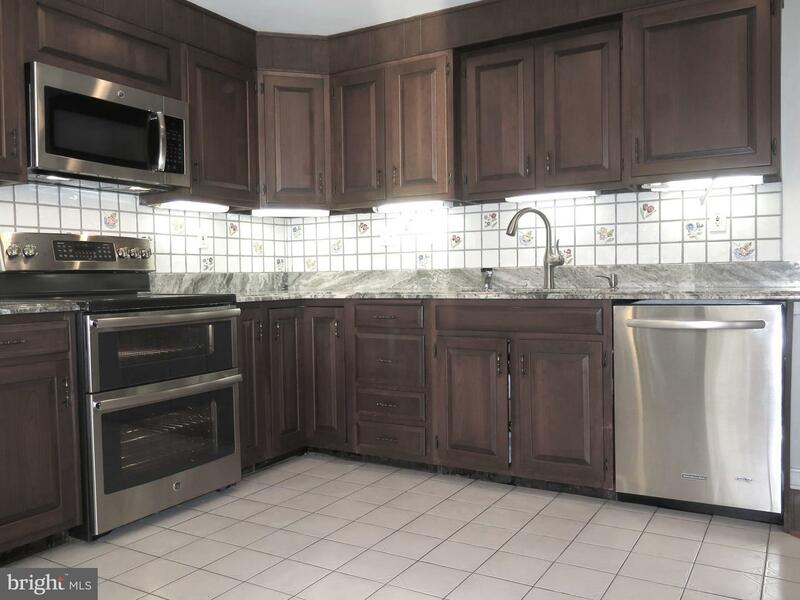 The kitchen has new granite counter tops throughout, recessed lighting, tile floor, cherry cabinetry, garbage disposal, instant hot water dispenser, stainless steel appliances with new double oven and over the stove microwave, side by side refrigerator with a bottom freezer and dishwasher. 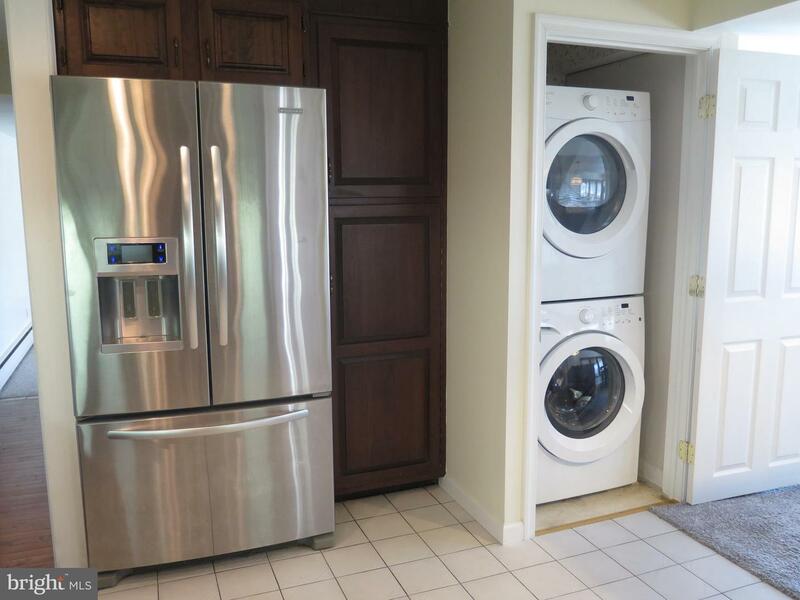 Laundry facilities are conveniently located in the kitchen with a stackable washer and dryer concealed in a closet. 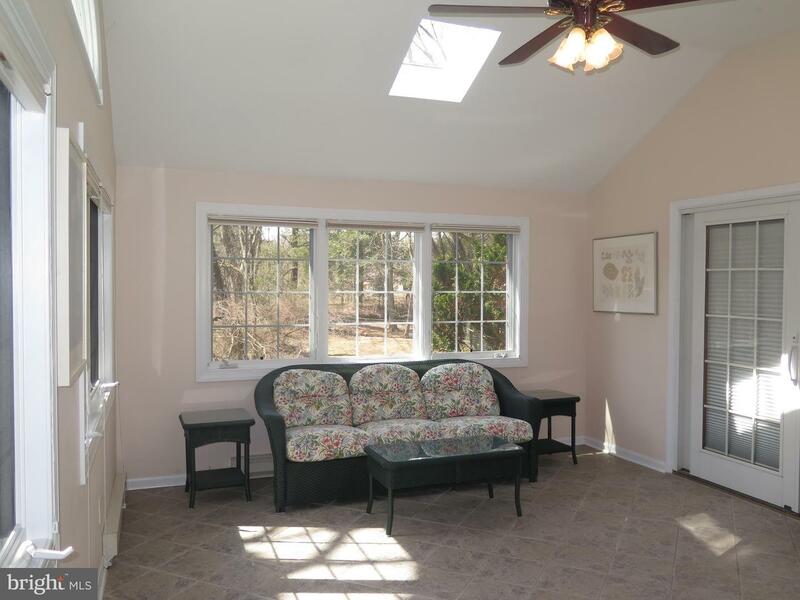 A center island, that also has storage space underneath, separates the kitchen from a large breakfast room that can serve as an informal dining area and has a wall of windows - with internal shades - overlooking the back yard. 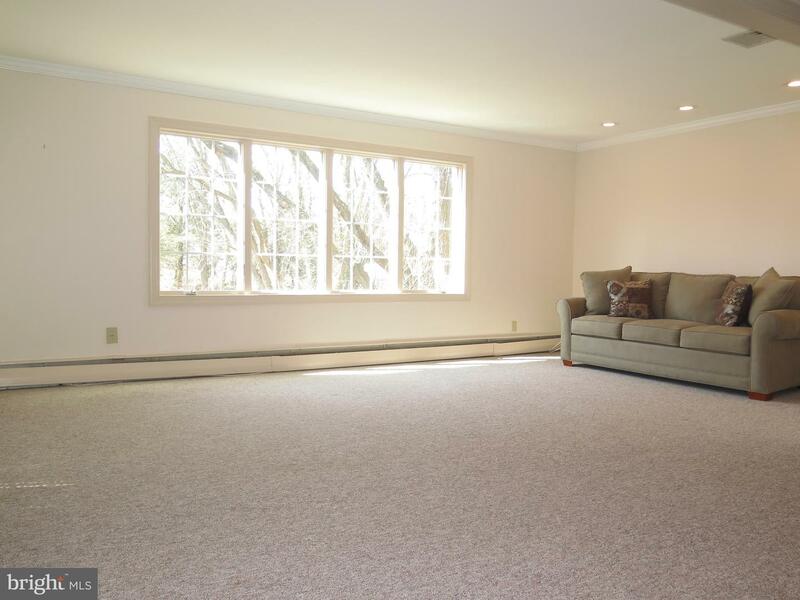 This area is an ideal play space to keep watch over the children while meals are prepared, or when it is time to do the laundry. 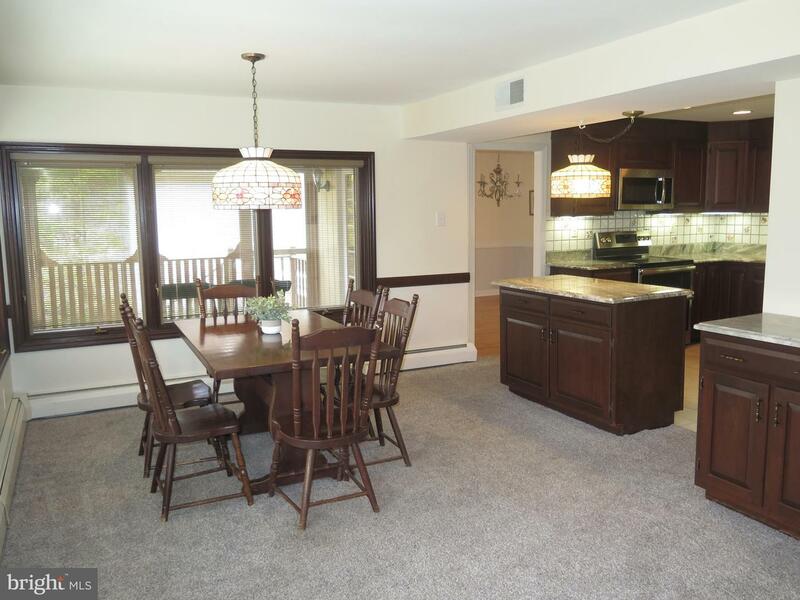 Adjacent to the kitchen is a formal dining room with hardwood flooring and a sliding door leads to a screened porch with stairs down to a deck and the back yard. 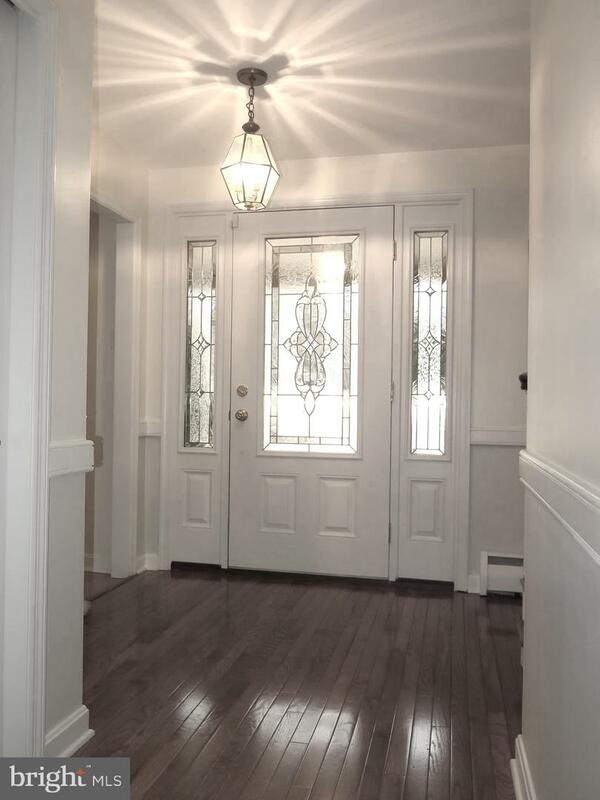 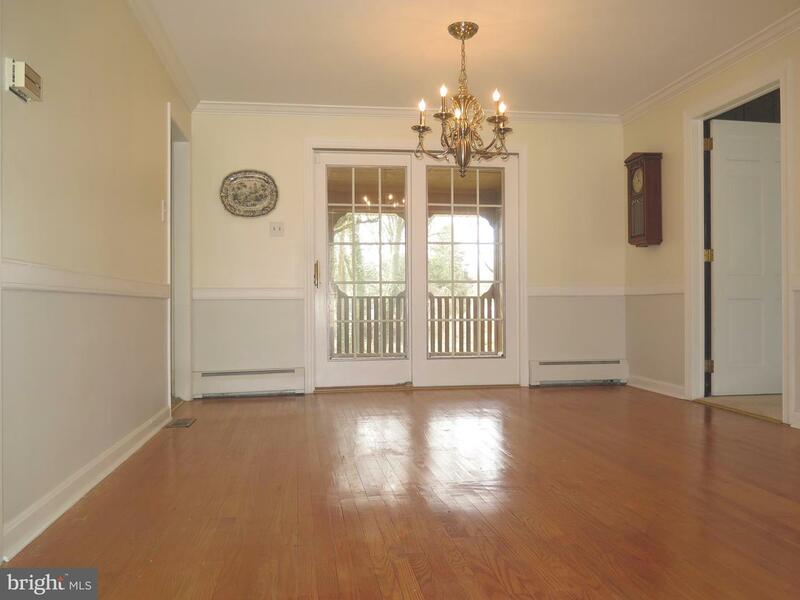 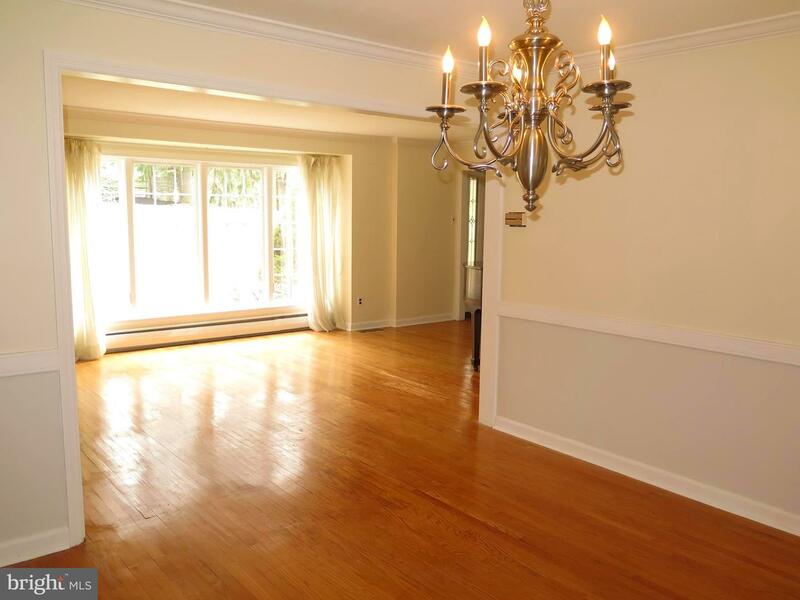 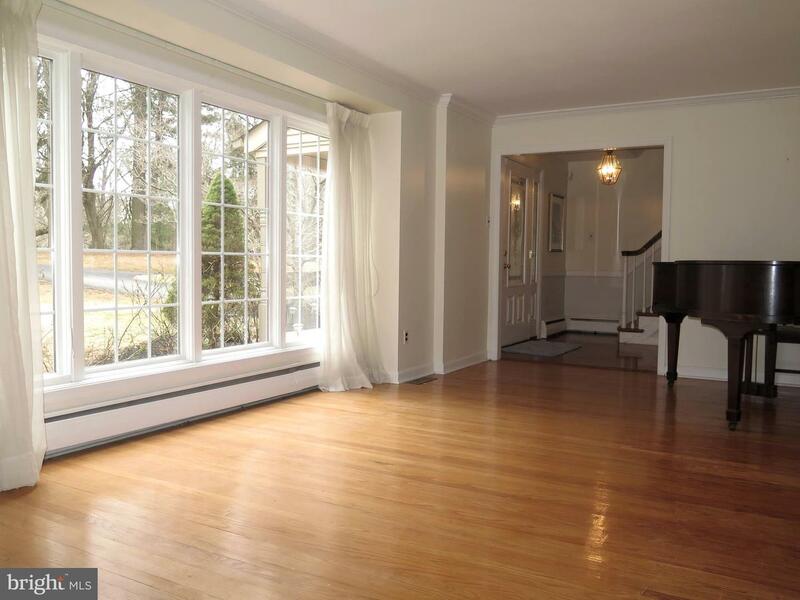 At the opposite end of the dining room is a large formal living room with original hardwood flooring. 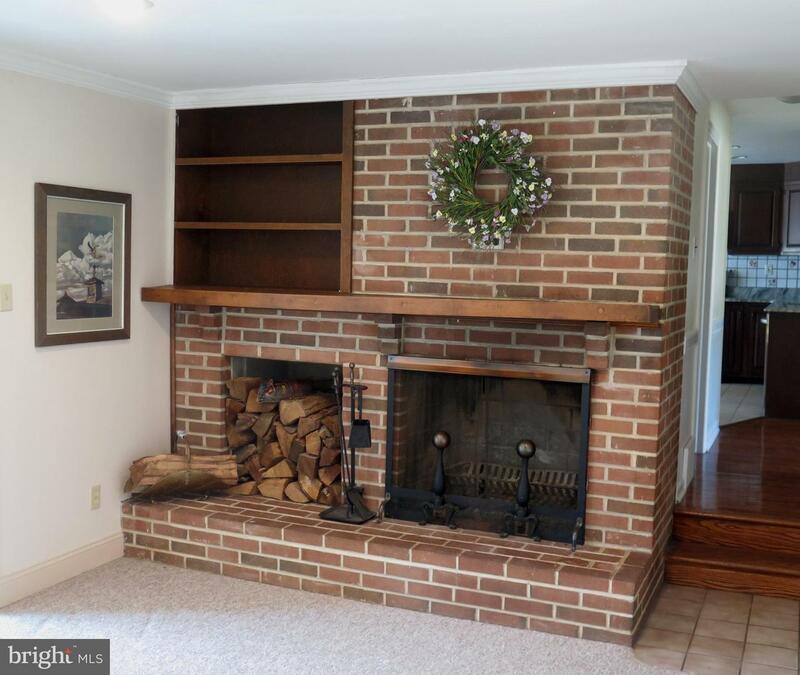 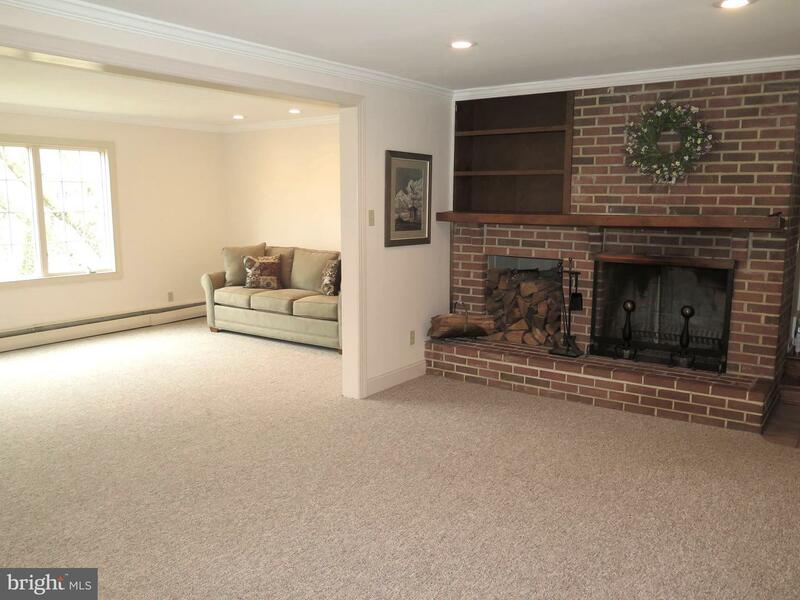 Completing the first floor layout is a half bath with a large linen closet, and the original family room with a brick wood burning fireplace which has been augmented with an addition that creates a large great room. 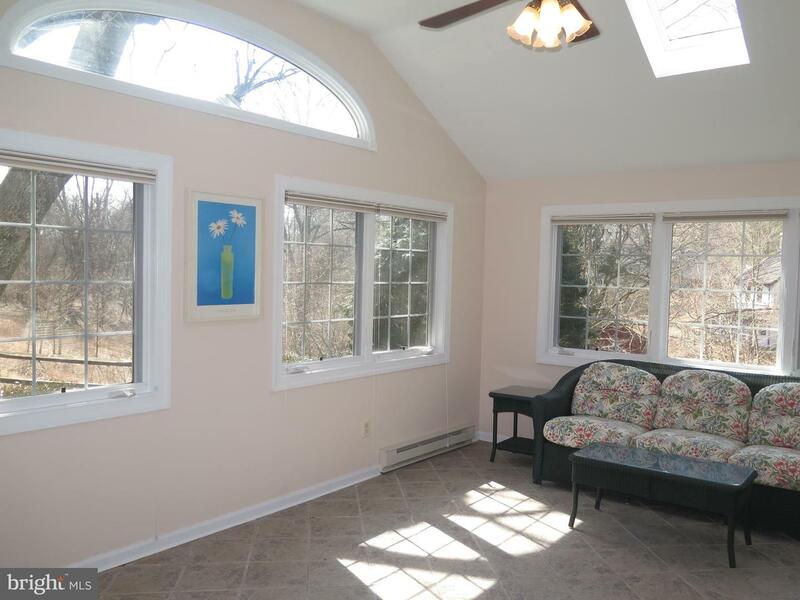 The great room has a sliding door that leads to a heated four season sun room with a southern exposure that has a vaulted ceiling, tile floor, and 3 walls of windows. 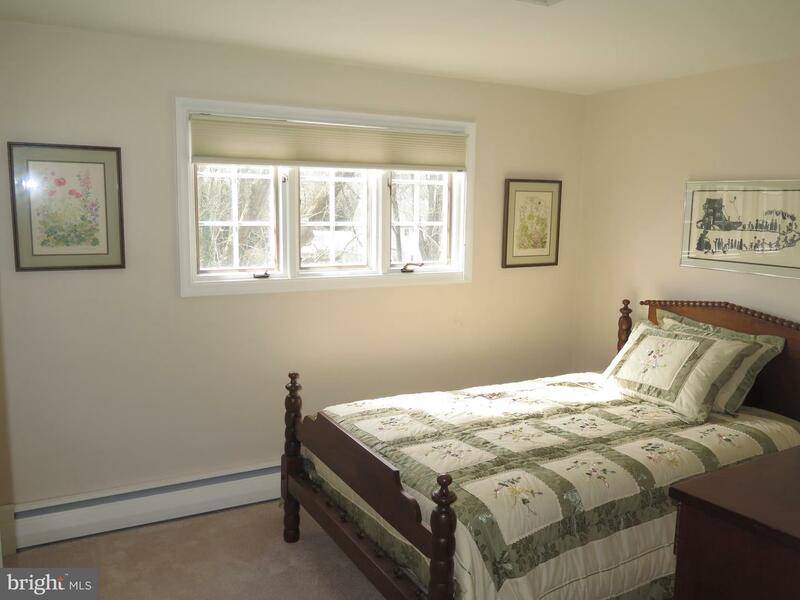 The second floor has four bedrooms - one being a second master bedroom and en suite bathroom, plus a full bathroom in the hall, and pull down stairs to the floored attic. 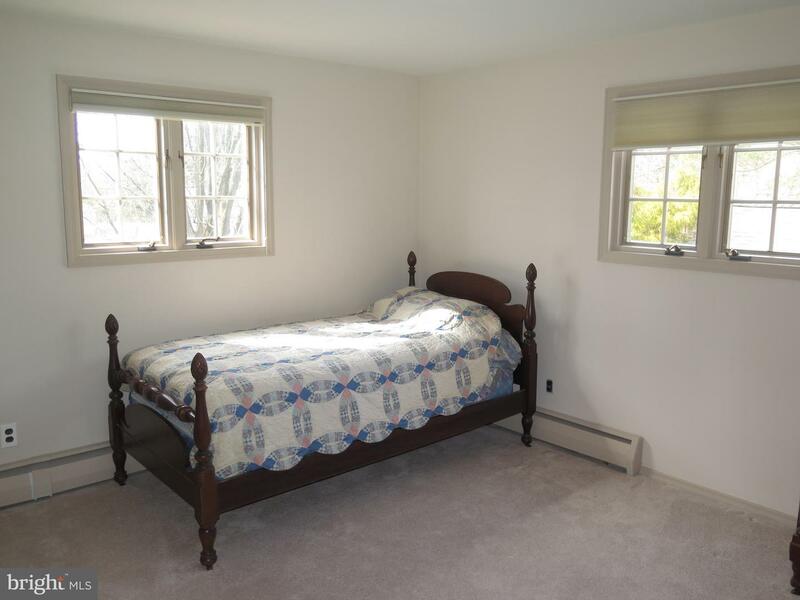 New carpeting can be found throughout the bedrooms, hallway, and stairs. 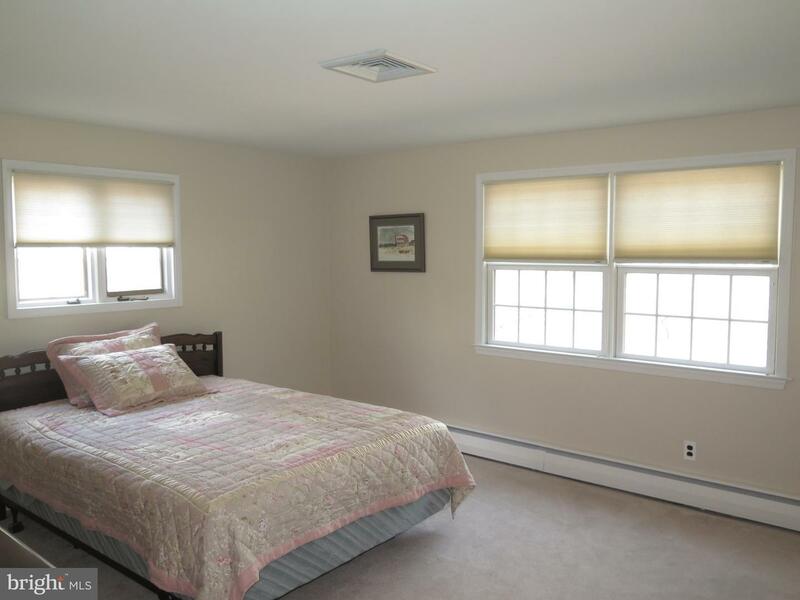 All the bedroom windows are outfitted with Levolor blinds. 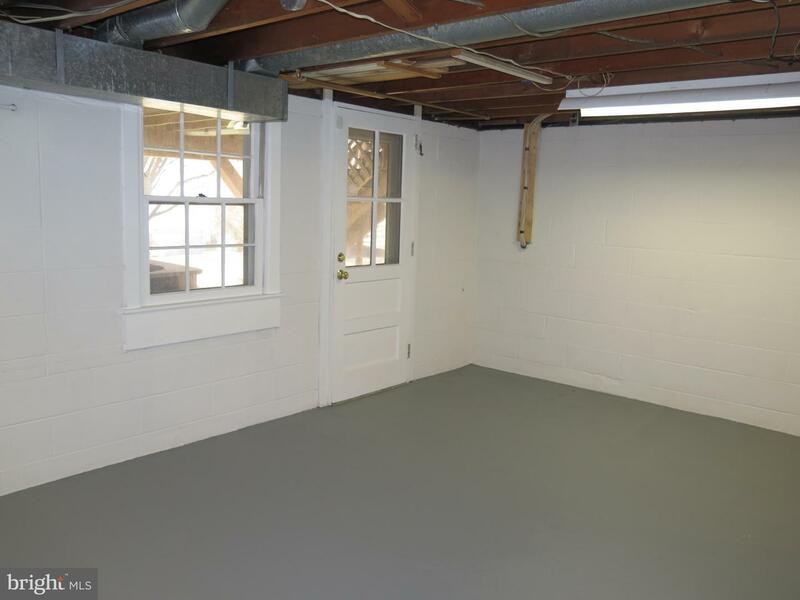 The unfinished portion of the basement has a workshop, additional storage and an outside exit to a patio and the back yard. 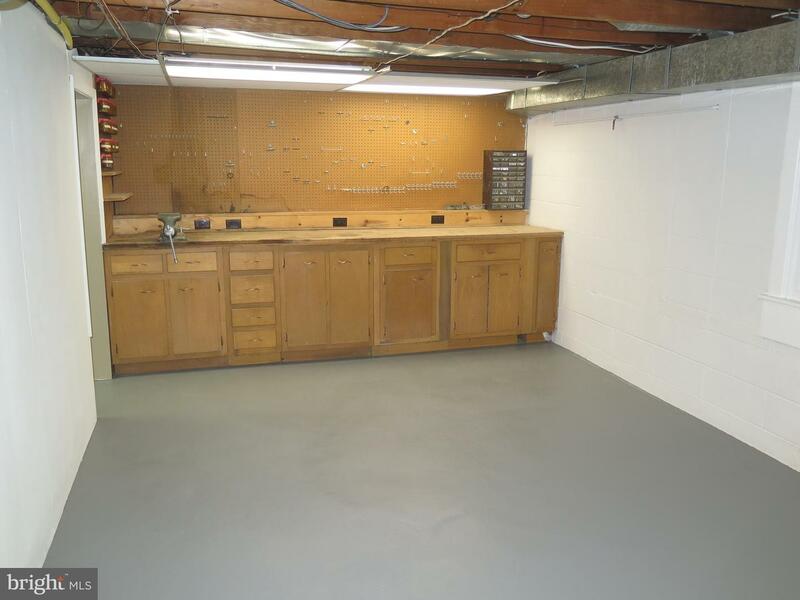 A utility room with tile floor has a work sink and houses the high efficiency Weil-McLain gas fired boiler. 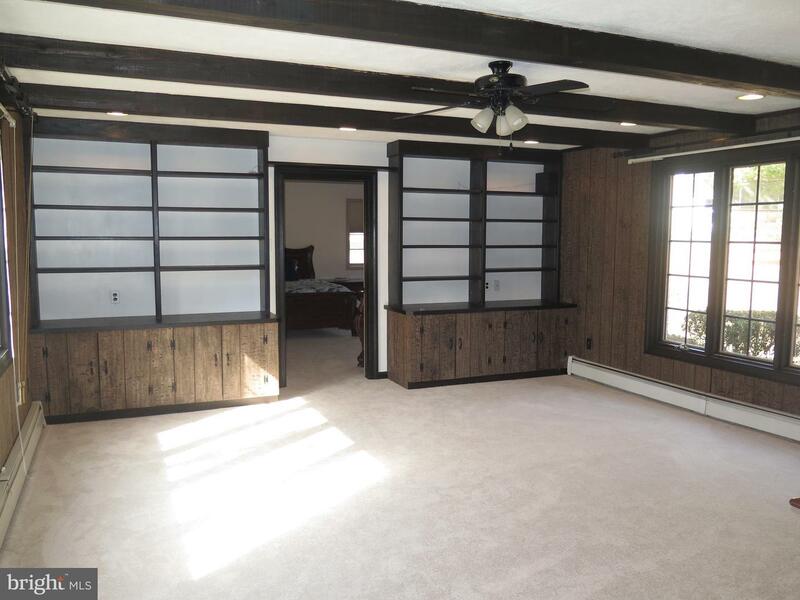 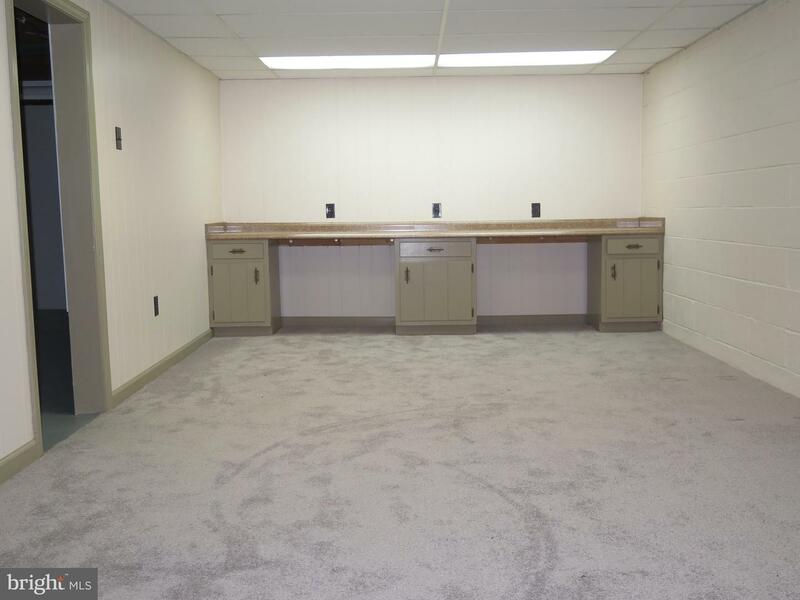 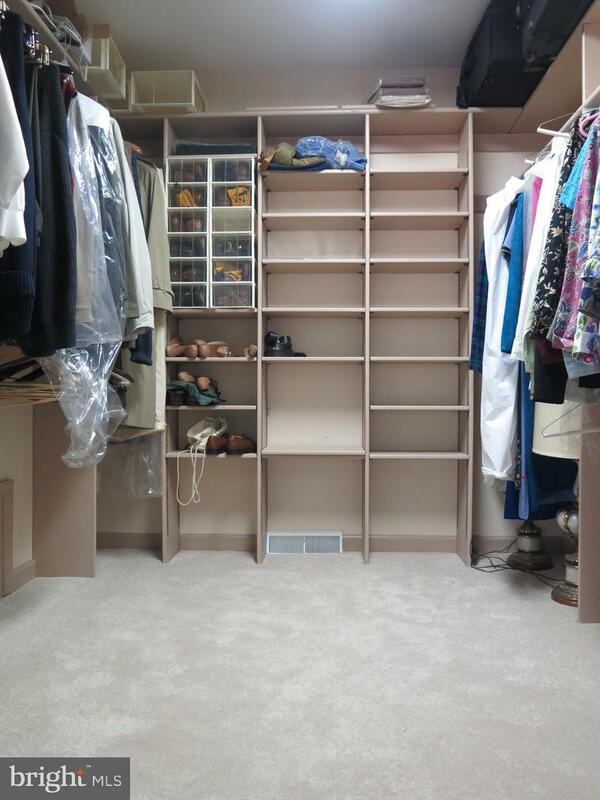 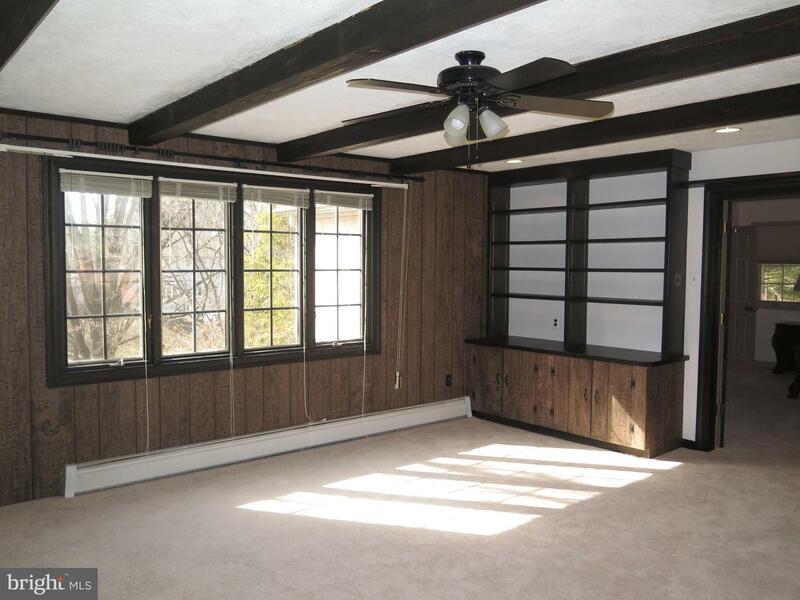 There is also a finished basement space that is carpeted and has a work station that would be ideal for crafting. 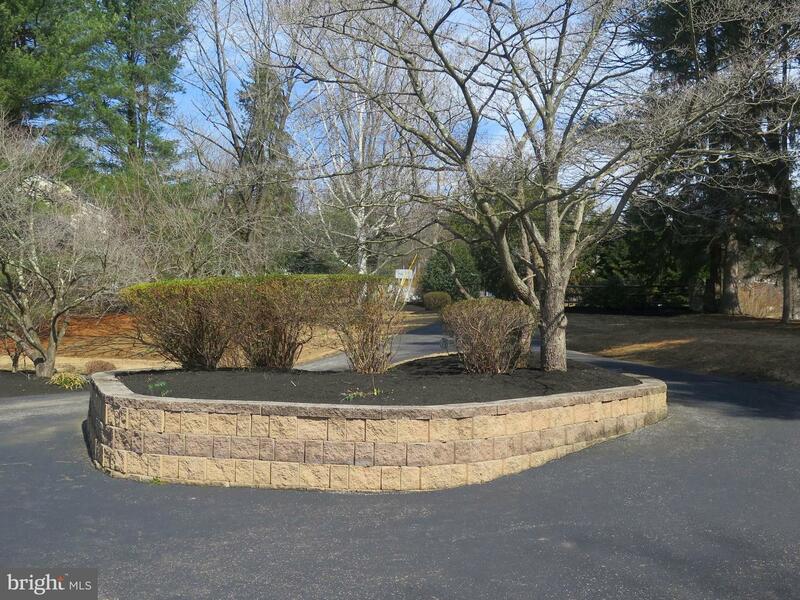 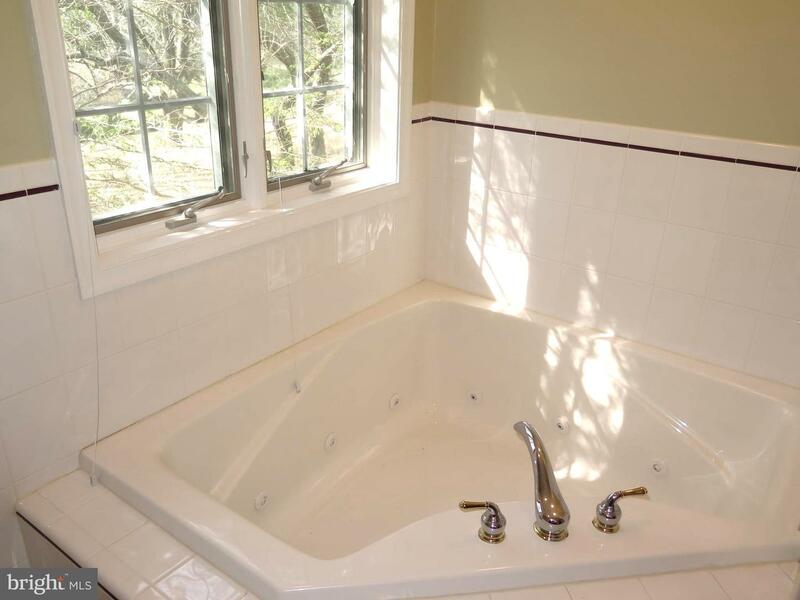 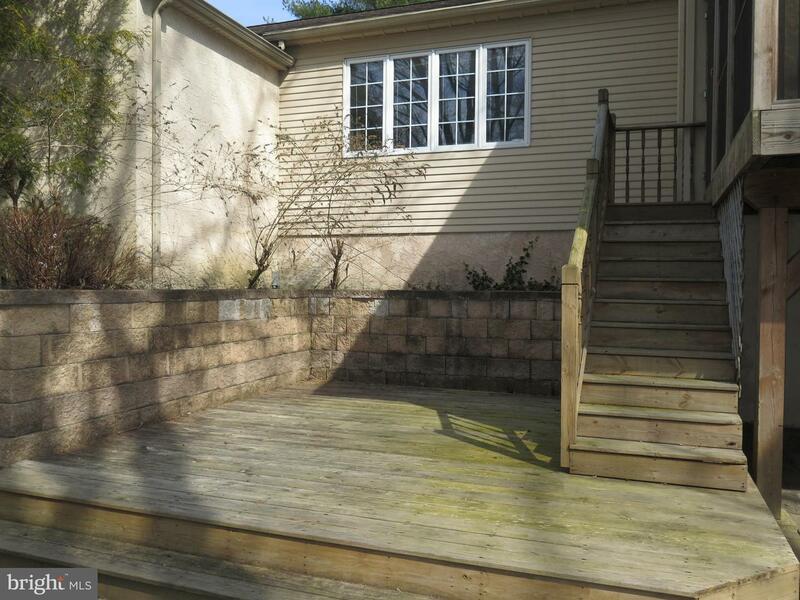 The lot has been professionally landscaped with extensive hardscaping and mature plantings. 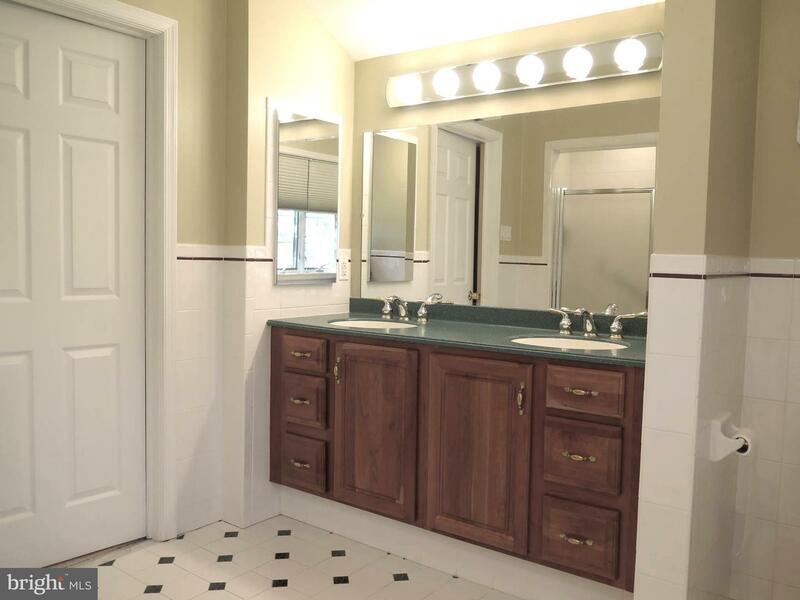 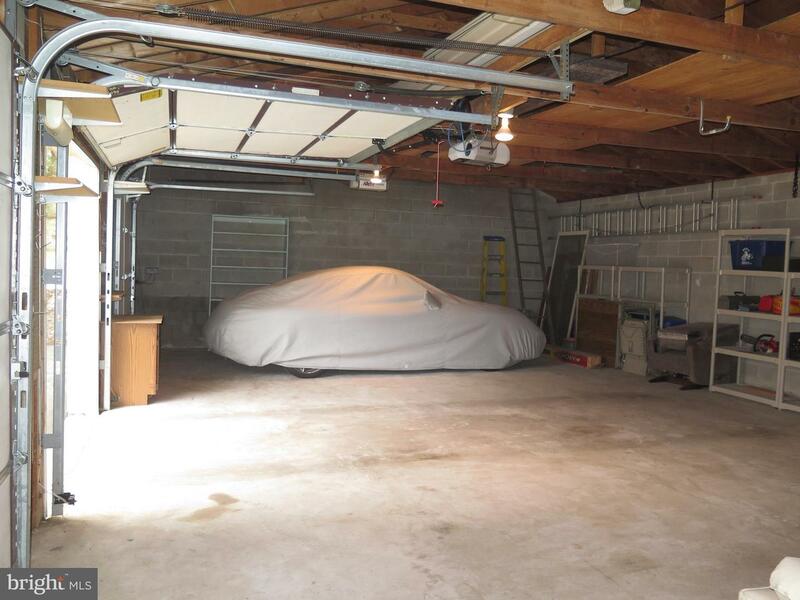 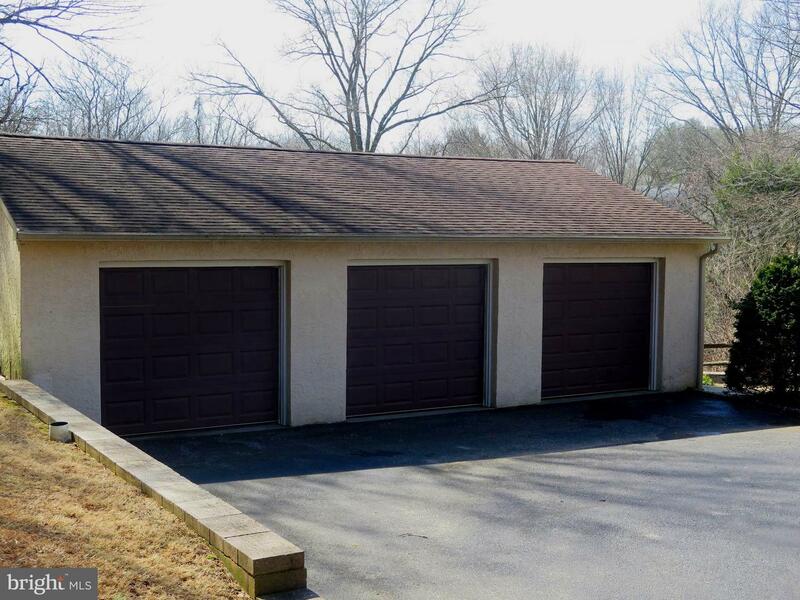 If you are a car enthusiast, contractor, or someone seeking space for their toys this house also features 5 garage spaces - two in an attached 2 car garage and 3 more in a detached garage at the end of the circular driveway. 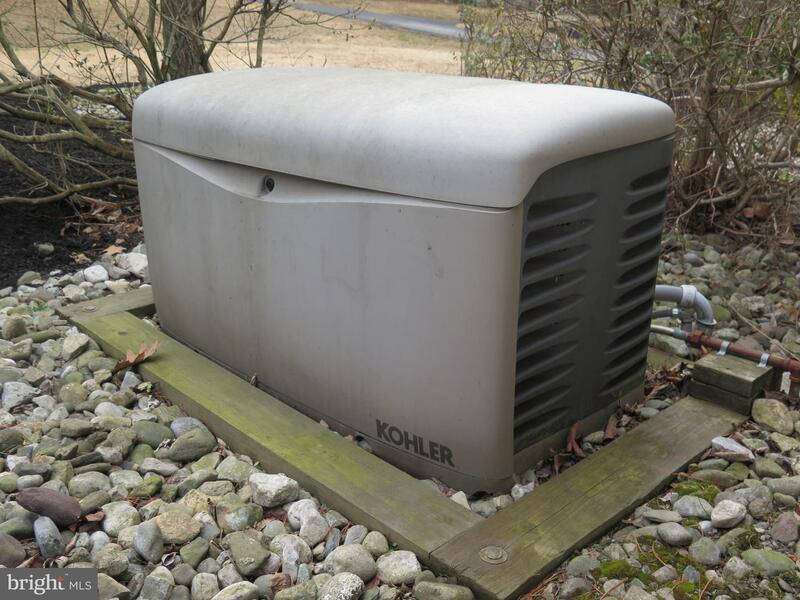 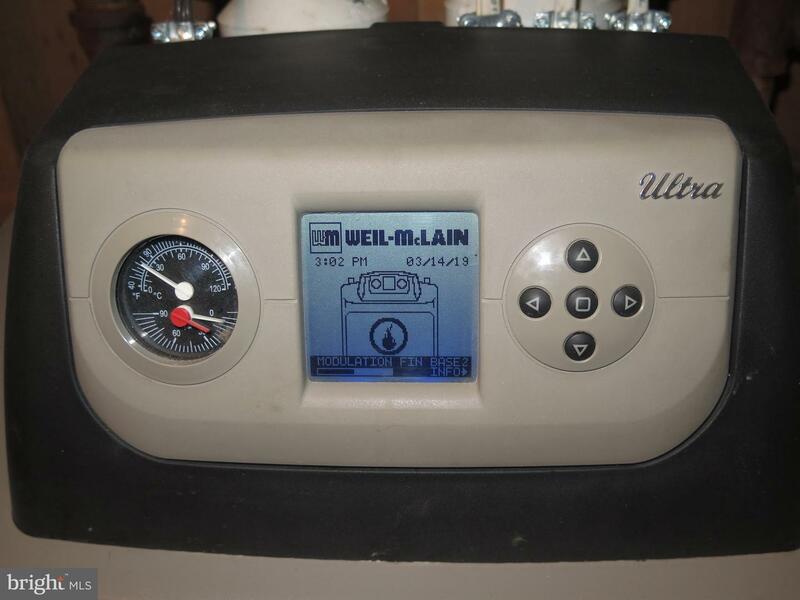 Multi zone climate control throughout will you keep your home comfortable and fuel efficient. 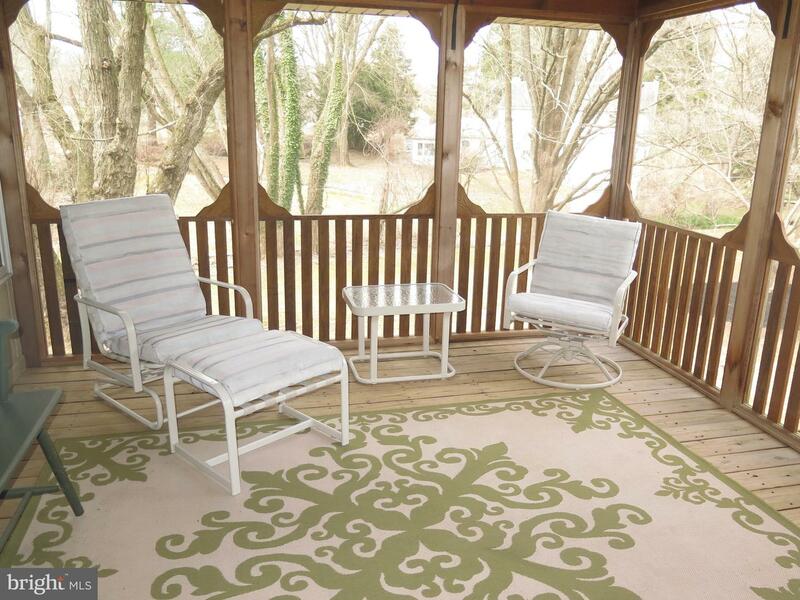 This unique home has so much to offer a lucky buyer. 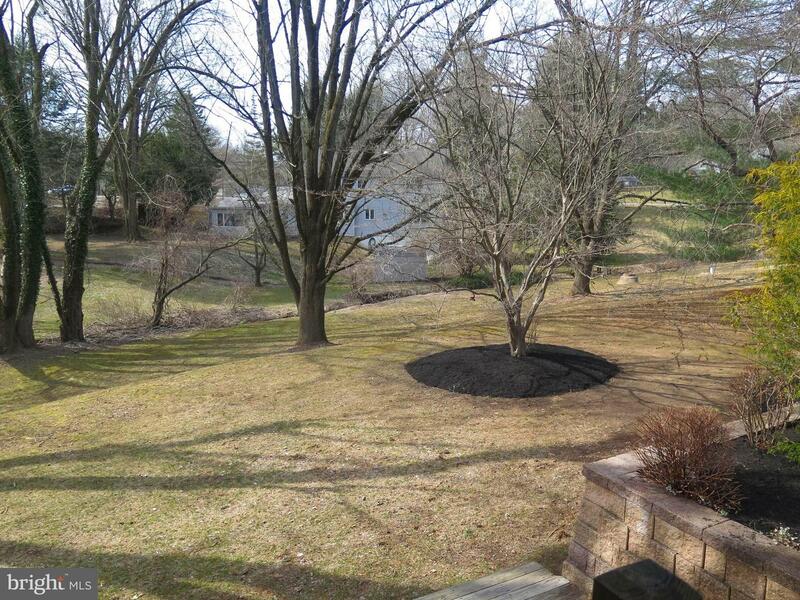 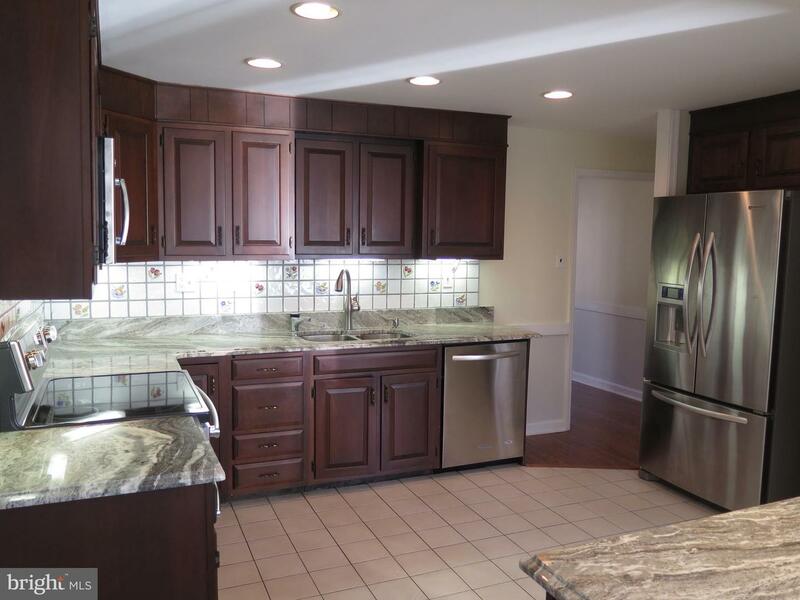 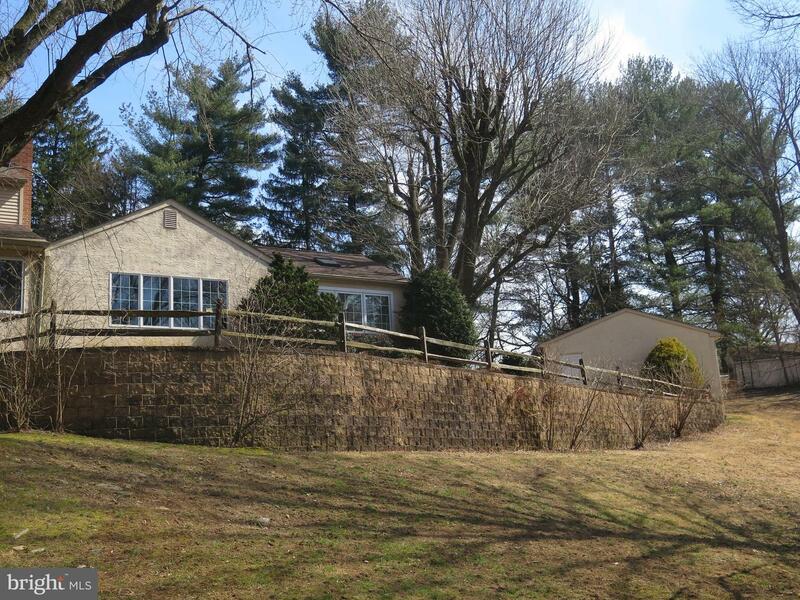 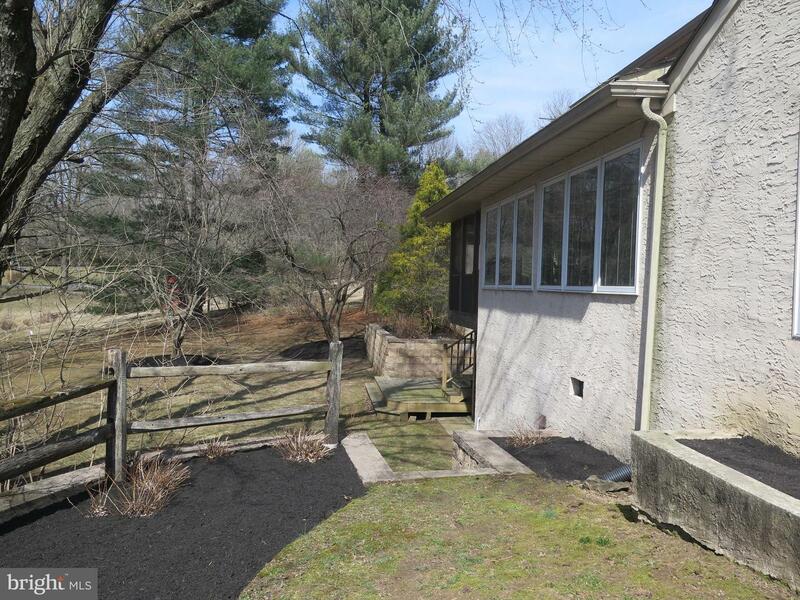 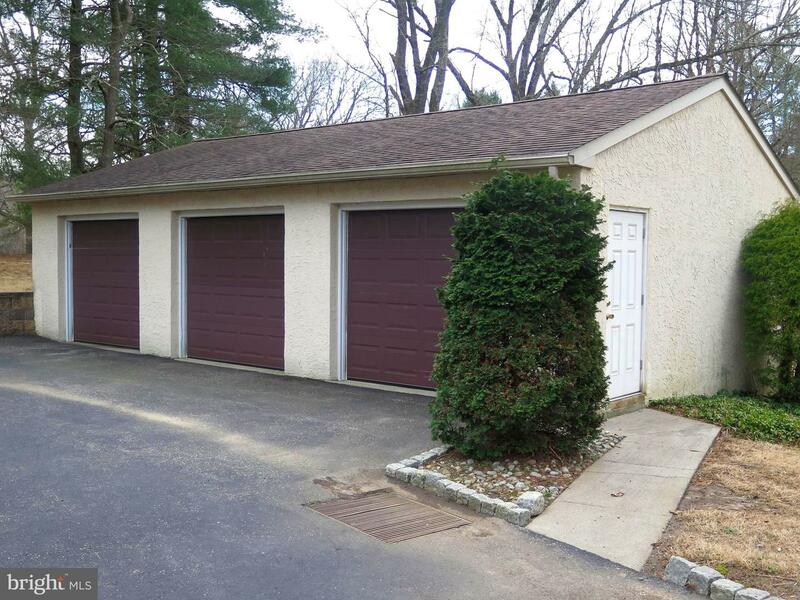 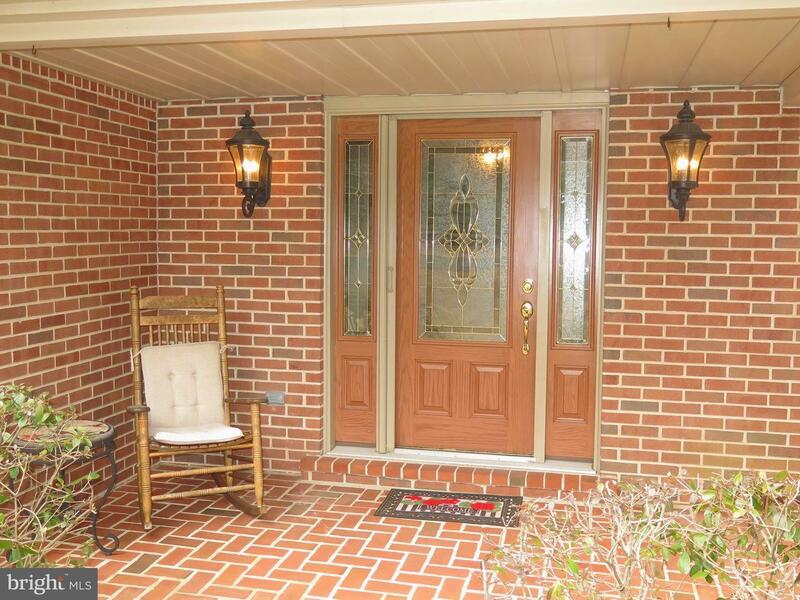 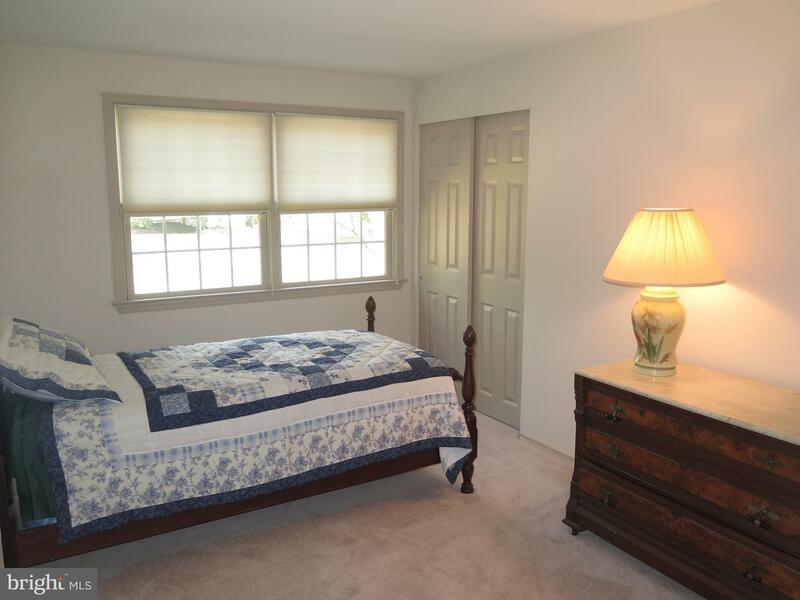 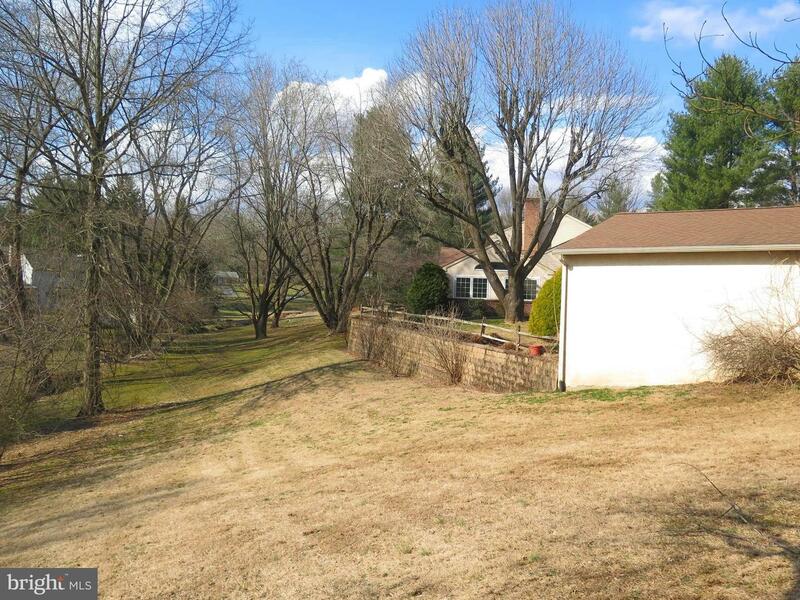 Conveniently located just a 5 minute drive to SEPTA's Elwyn train station and close to shopping, and major highways.